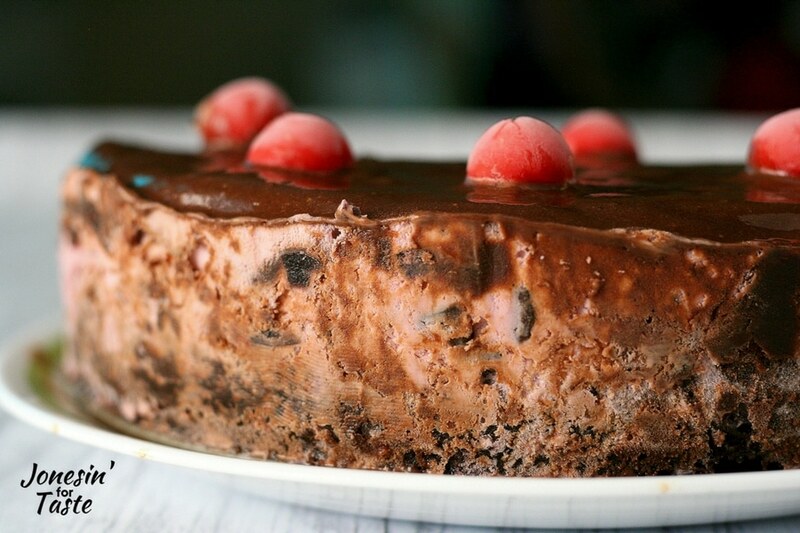 Cherry Chocolate Ice Cream Cake with brownie base mimics the classic flavors of a Black Forest Cake but in a wonderful cold treat perfect for summer! I’ve always had a soft spot for ice cream cakes. 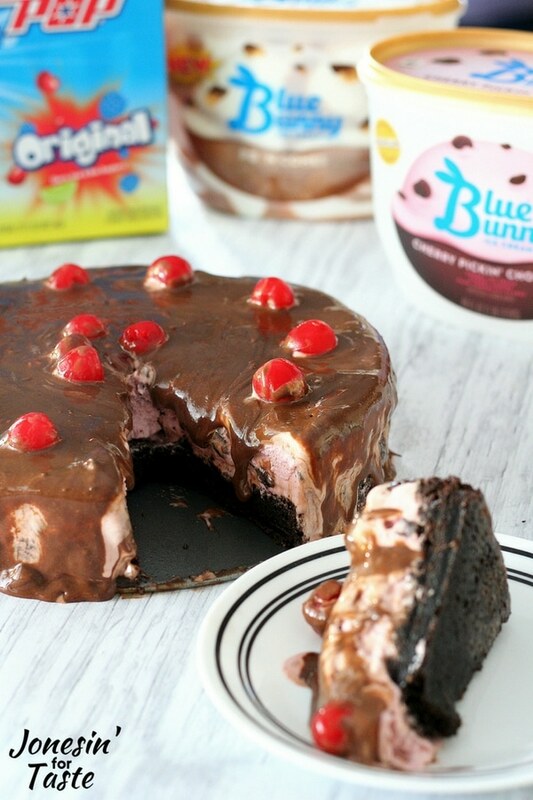 Ice cream has to be one of my all time favorite desserts and pairing that up with brownies like this ice cream brownie cake just puts it over the top. For more than 80 years, Blue Bunny® has been bringing delicious ice cream made with fun, fresh ingredients to families. Blue Bunny® adds a little playfulness to any occasion and is perfect for bringing the whole family and friends together. The new Blue Bunny® treats give classic flavors a fun, unique twist and are perfect treats for the entire family! There are so many options to choose from it was pretty crazy! I snagged both the Blue Bunny® PB ‘N Cone™ and the Blue Bunny® Cherry Pickin’ Chocolate®. The Cherry Pickin’ Chocolate® is so tasty and had way more of a cherry kick than I was expecting. It was awesome! 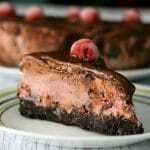 Pairing it with a brownie base and topping with chocolate sauce and maraschino cherries just put it over the top! 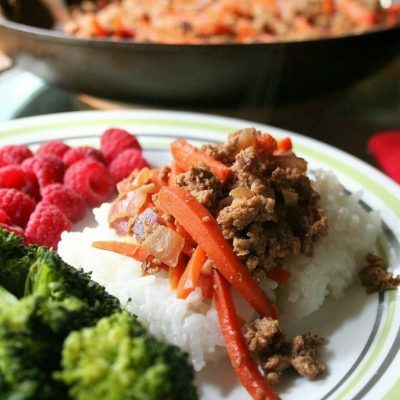 And with only 4 ingredients it’s really simple to put together for some WOW factor. 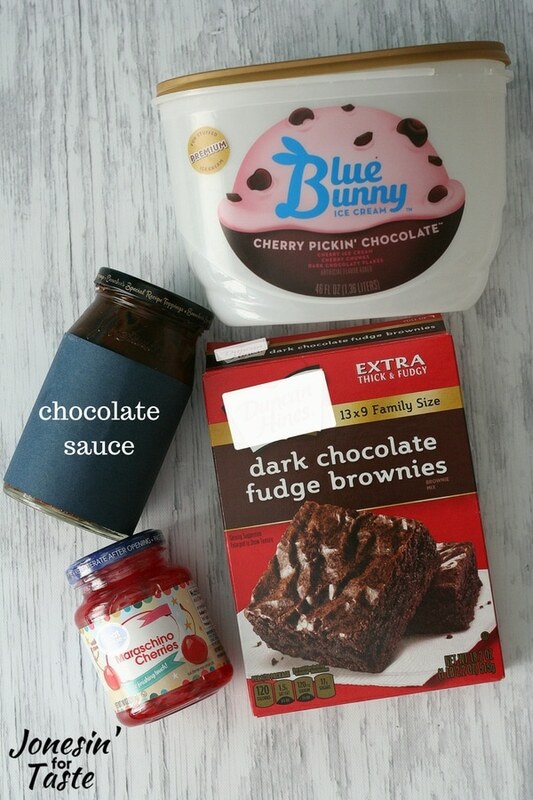 Preheat oven to 325 degrees F. Pour prepared brownie batter into a round spring form pan. Bake according to package directions. 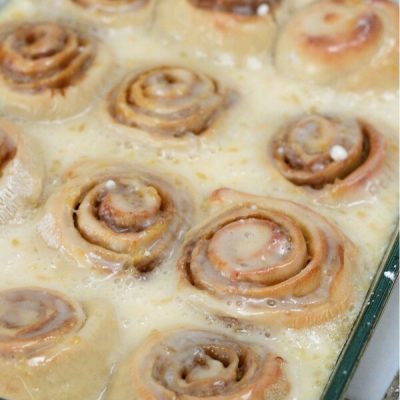 Make sure center is cooked and not gooey. Cool completely! Do NOT remove the brownie from the pan. Allow ice cream to sit out for about 5 minutes. Give ice cream a quick stir to break up the middle and then spread over the top of your brownie base in the spring form pan. Return to freezer immediately and allow to harden up for at least an hour. With the brownie and ice cream still in the pan, pour the chocolate sauce over the top and spread to cover. Return the whole thing to the freezer for at least 30 minutes. Just before serving top with the maraschino cherries around the outside and in the middle. 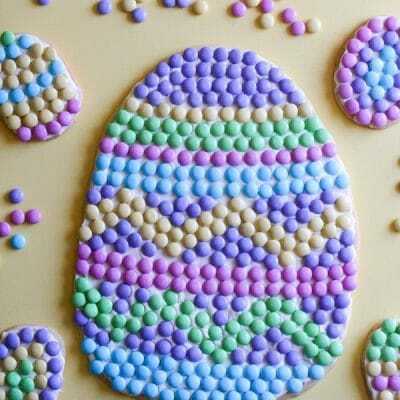 Then remove the cake from the spring form pan*. Slice and serve. Keep the ice cream cake in the freezer until you are ready to serve. 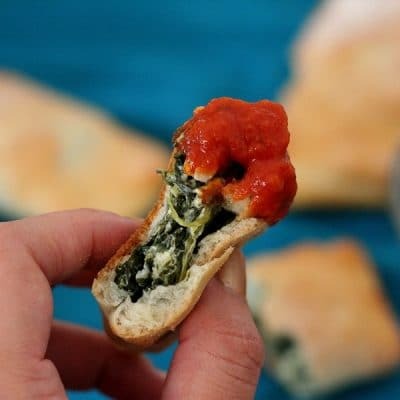 When you are ready to serve, unsnap the spring form pan and remove the surround. Remove the cake from the base plate and place it on your serving platter. *The easiest way to do this is to place the pan on a tall object like a jar and allow the outside part of the pan to fall away from the base. Ice cream cakes are surprisingly easy to make but the biggest challenge is allowing enough time for it to chill. When I first made it and tried to take a picture of it the top was sliding off! It was really hot that day, like over 100 degrees F hot, and although it had been in the freezer for over an hour it just wasn’t enough. So beware! How to soften ice cream without melting? The next layer in this cake is an ice cream layer, but you need to soften it first. Two ways to do this- either use a stand mixer to soften the ice cream right out of the freezer or allow the ice cream to sit on the counter until you can scoop it over the base. But don’t let it get soupy! For this cake, I topped it with some chocolate fudge sauce that I warmed up just until it was pourable. 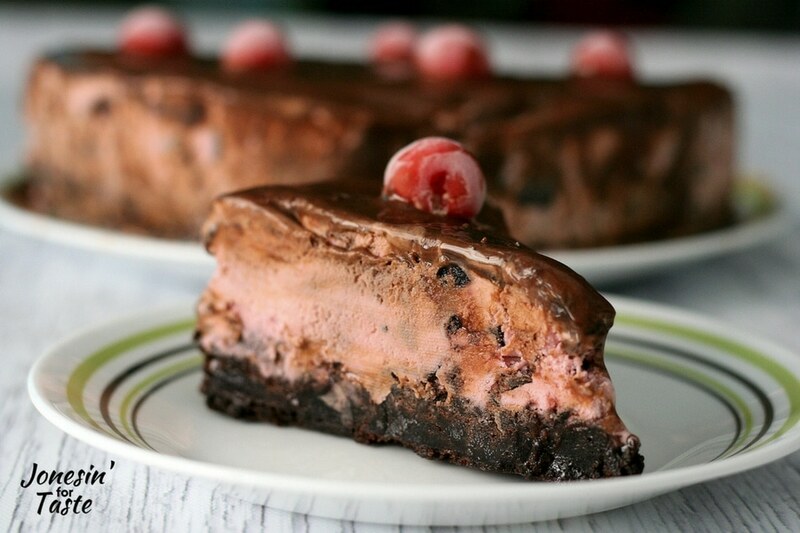 You can quickly top with cherries if you want. Then get it in the freezer fast! Where to store ice cream cake? Keep your ice cream cake in the freezer! Don’t be tempted to just leave it in the fridge because your ice cream will become a liquid mess and if it’s not in a good container you will have one big mess on your hands! So make some room in your freezer before you make this cake and plan to leave room for the extras, if there are extras I mean! 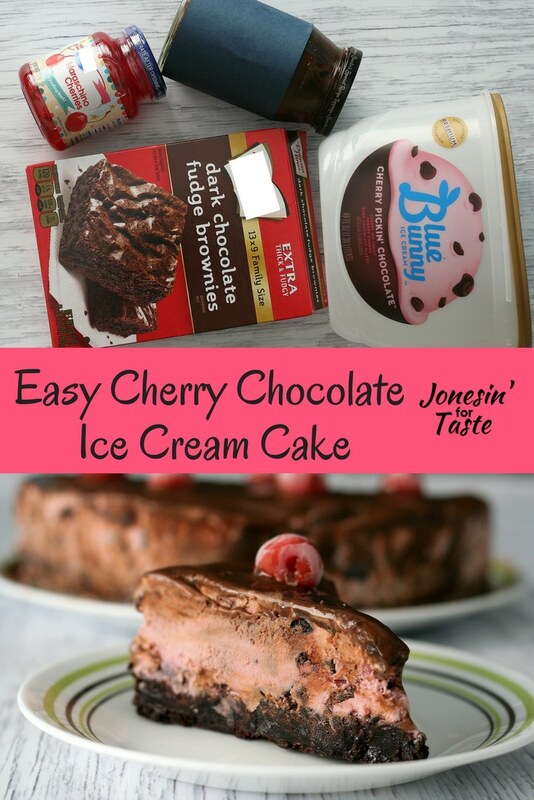 Cherry Chocolate Ice Cream Cake with a brownie base mimics the classic flavors of a Black Forest Cake but in a wonderful cold treat perfect for summer! Seems easy enough to make, just bake the base and spread on the ice cream. This will go down well with the family; we are experiencing a heat wave over here. That’s what I’m trying to go for. Nice and easy.